Wouldn’t it be nice to have a neat list of common mistakes that ecommerce businesses make and how to avoid them? Imagine the leg up that would give you over the competition. On this episode of The Amazing Seller, you’ll hear from Scott as he reveals helpful tips and insights on how to set your brand up for success. Scott also stresses the importance of creating a solid strategy and plan that plays to your strengths and puts you on the right track. Make sure to listen to this informative episode; you don’t want to miss it! What are the most important things you need to do for your ecommerce business to succeed? Do you need the right product? The right market? The best strategy? Yes, all three would be great! More importantly, you’ve got to be willing to put in the time and do your homework. This is not a venture for the faint of heart. Be prepared to dive deep into a potential market and explore all the angles before you commit. Don’t just think one step ahead, build out the possibilities for your brand and think several steps down the line. 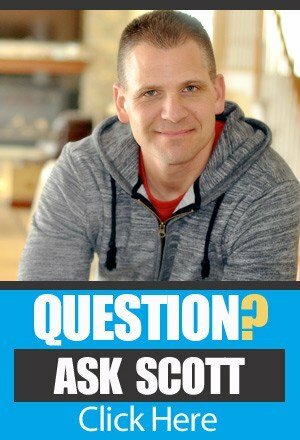 Listen to this episode of The Amazing Seller as Scott expands on this critical topic! Six reasons why products fail. Why do some ecommerce businesses take off while so many others crash and burn or even fail to get off of the runway? According to Scott, it all comes down to one of these six common mistakes that ecommercce entrepreneurs often make. Choosing one product and not planning out several products down the road. Getting fooled by basic numbers. Do your research! Failing to figure out what it will take for the product listing to rank. Launching with a messy and unattractive product listing. Starting off cheap and cutting corners. You get what you pay for! Choosing a product that has a ton of reviews only to find out sales are driven by reviews. If you want to avoid these common mistakes and put your ecommerce business in a position for long-term success, make sure to listen to this episode. You’ll walk away with a good starting point and helpful tips that Scott has acquired from years of experience, don’t miss it! When was the last time that you completed a major personal or professional milestone? Do you have a solid track record of making plans and seeing them through the end? If not, it’s time to turn over a new leaf! Time and time again, Scott encourages sellers like you to think through your ecommerce business plan and to write it out on paper. When you take the time to write out and visualize your plans, it gives your efforts a more concrete feel. If you are ready to put in the time and effort to get your business off of the ground, you’ve come to the right place. To hear more about getting started, make sure to listen to this episode of The Amazing Seller. [6:45] Don’t choose just one product, think several steps ahead. [8:35] Don’t be fooled by basic numbers, dig deeper! [10:20] Make sure you know what you need to do to rank. [14:40] If you want your listing to succeed, you’ve got to optimize your listing. [18:20] Don’t compete in a space that has a ton of reviews. [21:15] Scott recaps the six reasons why products fail. [23:30] Why you need a good plan in place. [25:30] Closing thoughts from Scott. …products fail on Amazon or just in general, but mostly on Amazon because that’s where most of you are starting or maybe you’re looking for your next product and there are six things that I found that you need to look out for and that can also prevent you from having a failed product. And I went over this in a recent episode that was Episode 624 where I talked about the five filters to validate a market and that also goes along with really how to set yourself up for success within that product. Because a lot of people just look at the numbers in a tool like that’s it. They’re not looking at all the other factors. Now, I’m not going to talk about all of the validation processes as far as that goes. I’m going to go over six things to avoid that I’ve seen people making a lot and I want to prevent that, and I want you guys to understand that if all you are doing is using Amazon right now, that’s all you’re using, now think about this, you’re going to find a product, okay, let’s say that you’re not following the process that I’ve kind of laid out where you want to find a market, you want to validate that market, you want to make sure there’s three to five products, you want to make sure that there’s people searching for content, and that you can build out external channels like if you’re not doing all that, all you’re doing is looking at the product on the front and then you’re hoping that you can maybe sell 100 of them right out of the gate to launch on Amazon and maybe you’re going to use pay-per-click, maybe you’re going to use a deal site, maybe you’re going to use a rebate site, whatever you’re going to use which a lot of those things I don’t agree with but let’s just say that you went down that route, everyone else is doing the exact same thing. [00:02:05] Scott: So, rule number one here when picking a product is you can’t do the exact same thing that everyone else is doing. That’s a big mistake. That’s not even one of my things to avoid, but that’s like a big one because so many people are just like, yup, that’s what I’m going to do. I’m going to follow that same formula. The formula is pick a product that the numbers look good that there’s enough depth, there’s enough demand, let me make sure that I can rank it by giving away 100, 200 units. I’ll do a massive giveaway and discount my product by 90% then I’ll go after a review group and I’ll try to get some reviews even though I know they’re going to probably get deleted eventually but in the least, it’ll get me my start. Does that sound familiar? Like have you thought that? Maybe you have, maybe you haven’t, but if you have, I need to blow the whistle. I need to call a timeout. Hey, Kevin, call that timeout. Kevin Sanderson, ex-ref, well, not an ex. He’s still a referee. He was actually on the podcast recently. He quit his job, fired his boss, and he’s working full-time for himself now so congratulations to Kevin, but he’s my whistleblower because he’s a referee. So, I need a little timeout here. If that is you, I need you to take a minute and just step back and I need you to listen to this episode and I need you to really start thinking a little bit differently. Okay. Number one, go back and listen to Episode 624, TheAmazingSeller.com/624, that there is going to give you really the filters, the process to take it through before you even select that product, but if you’ve already selected that product then you’re going to have to make sure that these things are checked as well. Now, this is exactly, exactly what we teach, what we go through, what we, you know, we also again we do what we say. Like, if I’m teaching this, this is what we’re doing. Like, I’m not just going to give you theory like this is what we’re doing, this is what I believe in, I believe that this has worked years ago and then is working again now and it has always. [00:04:03] Scott: It’s just you took a shortcut and we all did where it was kind of easy to launch products on Amazon and get them ranked and stuff. And now all of a sudden, you launch a product and before you know it, you got 10 other people selling a similar product and all of a sudden, you’re competing on the same, using the same tactics and the same strategy. That’s not what we want to do but this is exactly what we are teaching inside of Ecom Business Formula, which I’m really proud of because it’s amazing and it took a lot of work, a lot of sweat and some tears, because it was, I’ll be honest, it was a lot of work and I knew it was going to be worth it. I just wanted to make sure that it was going to be something that other people could replicate, and other people could follow easily because I am a visual learner and I also like to actually see it kind of being done. So, what we did is we showed this entire process. We actually identified a niche inside of there that we used as our niche to kind of demonstrate everything through but we found it on the fly. We didn’t just preselect it. So, it really is us going through the entire process of going through and finding the market and then finding three to five products and then from there, creating the prelaunch and then doing the launch and then from there, building out those external assets, building our home base, getting that traffic, those eyeballs, that attention that I talk a lot about because that is the new currency, by the way. So, all of that stuff is in EBF. We call it EBF short for Ecom Business Formula. So, if you’re interested in joining us in that class, currently right now depending on when you’re listening to this, it could be closed. The time that I’m recording this, it is closed, but when this airs, it may be open. If you’re interested in getting on the waitlist or just being notified or even just learning more about it, you can head over to TheAmazingSeller.com/EBF, keep it short and simple, or you can just go to EcomBusinessFormula.com and that’ll take you there as well, but the waitlist is TheAmazingSeller.com/EBF. [00:06:00] Scott: All right. So, let’s dig in, shall we? All right. So, here are the six things to avoid and again, it kills me because a lot of times I’ll hear people they’ll email me. They’ll go, “Scott, I’m launched. I did my initial, you know, I got 50 sales or I got 75 sales or I couldn’t get 100 sales. All I could get was 50. I tried using the deal site and then now I’m trying to use pay-per-click, but it’s too expensive. How do I compete? How do I sell these units now?” And that’s where I call that a timeout. I go, “Wait a minute here. We got to recheck some things here,” because something along the way you didn’t figure this out correctly or you didn’t plan it out correctly. So, let’s go through them. Number one, okay, choosing one product and not looking at future ones. Only selling one product. That’s a big mistake to avoid. So, when you are choosing your product or your future products, please make sure that you’re looking also at the additional sales that that one customer can make because it’s so much easier to sell to the same customer than it is to try to find a new one. Now, that’s not anything new. You might’ve already heard that before but it’s true. If someone comes into your store, brick-and-mortar, online, doesn’t matter, and you have more of something that that person can buy, there’s a good chance they might buy stuff on the way out, especially if you make it visible and we can do that within Amazon. We can do it externally. We can do it throughout our entire business and our brand and you want to. But if you don’t have that already preselected then you’re kind of just a one-product business or a one-hit wonder if you will. Like, I’ve got people right now. They’ve launched the products that’s done $1 million which is nothing else behind it. I’ve had people that have that done that and then they’re kind of now scraping to try to figure out what they’re going to sell next and you don’t want to be in those shoes because it’s really risky and there’s not really a business or a brand there because you’re only selling the one product, fidget spinner. Hot for a day and gone tomorrow. We don’t want that. [00:08:04] Scott: So, that’s a big mistake to avoid, just choosing the one product because it met your numbers or your criteria. So, part of my criteria is can I find three to five products easily without even doing a lot of digging, even if they’re in a competitive space and there’s products that I might not sell today but I might sell six months from now or a year from now once I build up my external channels like are there other products that that customer would buy that makes sense from that initial purchase? So, that’s number one, choosing just one product not looking at future ones. Number two, and this is a big one too. Being fooled by the basic numbers in the tools that you’re using because you’re not looking at the history. You’re not looking at the trends. So, how do you do this? Well, if you’re using a tool, if you’re using Jungle Scout, they give it to you right there inside of the tool. So, if you’re using the Chrome extension, you just click on BSR and you can see the history. You can see how long they’ve been selling. You can see what the BSR has done. You can look at the sales numbers and say, “Oh, they’re selling 300 a month and then you can go and click on that, and then that’ll populate the history,” and here’s one little nugget for you. If you click on that and it shows that they’ve only been selling for a month, you might want to look at another seller, okay, because we want proof. We want proof that this isn’t just something that they just launched then we’re being fooled by those numbers because they just launched and gave a massive giveaway and those sales aren’t really sales technically. So, not looking at the history is a big one and not looking at trends. Again, you can look at trends inside of Jungle Scout. If you haven’t grabbed your Chrome extension, that is like the number one tool that I would recommend out of the gate. When you’re starting, when you’re up and selling, you’re going to use that thing all the time and got a nice little discount for you if you want to head over to TheAmazingSeller.com/JS and that’s for Jungle Scout, and Greg Mercer good friend of mine now and a great company, and yes, I’m an affiliate for them and, yes, you would buy me a cup of coffee which I have one right in front of me right now which is delicious. So, yes, I would be totally upfront with you, but whether you do or not, it’s a great tool. Okay. Use that tool. [00:10:16] Scott: So, okay, that is number two, being fooled by the basic numbers in using tools, not looking at history and trends. Three, this is another big one. This is a downer, okay, not figuring out what it will take to rank the product, how many units to sell per day. Sometimes people will go out there and they’ll look at the numbers and they go, “Oh, it looks like it’s selling 500. Cool. Okay. Let’s go ahead and launch it.” Don’t even to think about how many units they’re going to have to sell per day in order to rank. Not looking at any of the rankings as far as they’re ranking numbers, looking at the optimization or anything like that. So, you need to do is you need to look at not just the one seller but like the average of the first page of your keyword that you’re targeting and there’s ways that you have to look at also the keywords that you’re wanting to get ranked for. Is that the one that’s driving a lot of the sales? Like, that’s another one and this is something we go super deep in as far as like Ecom Business Formula goes. I mean, we dig really deep in this area because it’s so important that we understand this because we want to set ourselves up for a successful launch because we want to know these numbers and we want to know before we end up launching this, what am I willing to discount my product for, number one? And then am I able to get ranked by giving away, and I say giving away, by getting these sales, so we’re never giving away by the way. I had a question come in. I think it was the last Ask Scott session of like how many or what happens if I do my giveaway and I run out of inventory? And I was like, wait a minute, time out. I don’t want you giving away 90% off of your product, number one. [00:14:03] Scott: Not enough. You’re not going to rank and then you’re going to be scratching your head going like, “How do I rank, Scott?” Well, you didn’t look at the numbers upfront. You got too excited about 1,500 sales. So, you almost want to scale that back and find those products in the beginning that are selling 300 to 500 because then you can sell 10 or 15 or maybe even 20 a day. That’s possible. Selling 50 a day, that’s a lot of units and you got to do it for over, you know, I like to do it for over 10 to 14 days depending on, again, how competitive it is, how many other sellers you’re competing with, and all that stuff. So, all that stuff comes into play but you got to know that stuff. I was on that one there for a while. Number four, not optimizing the listing, driving traffic to an unoptimized listing, you might as well not even get the sales. You’re going to see the sales but you’re not going to see any ranking. Okay. You need to make sure that your listing is well optimized and the basics are this. You want good pictures, number one. Now, the pictures aren’t necessarily going to rank you from a search perspective, but it will get you to convert better so that does make a difference. But the things that do come up in search are your title, your bullets, your description, and your backend keywords. Those are the main areas that you’re basically filling in and that you’re getting indexed for from Amazon. So, when you start to send sales, that comes up on their radar and their algorithm and then you start to rank for those keywords. That’s kind of how that works. And again, if you’re running pay-per-click and you’re not optimized, you’re not going to be relevant so they’re not going to show you so you got to be careful on that too. So, again, if you’re going to send traffic, you might want to make sure that that listing is optimized fully. Okay. Really, really important. All right, number five, not willing to spend money on initial launch to boost sales. That’s another big one. Scott, I’ve got a $3,000 budget. I spent $2,500 on my product. I got $500 that I can use on pay-per-click or I can only give away 100 units because, after that, I got to start making money on these products. [00:16:06] Scott: Here’s what I would say to that. Your first order should probably in your head just be a breakeven. If you can breakeven and basically sees in your account, get history in your account, get history in the listing, get feedback to build your account up to get your review start to come in, all of that stuff. You’re using that as like a grand opening sale. That’s the way I look at it. If you are opening a brick-and-mortar you’d be like, “Hey, we got to do a grand opening. We’ve got a $5,000 budget for that or we got $10,000 budget for that. We’re going to hire a clown to come in or we’re going to hire a DJ to come in or we’re going to have free hot dogs and hamburgers or whatever.” That’s a grand opening. It’s the same idea. It’s what we’re doing here. We’re doing that in the beginning so you need to make sure that you don’t overspend on your inventory where you don’t have enough to launch and that can be, like I said, pay-per-click, discounts, lowering your price. It kills me when I hear people say, “Scott, I don’t want to give more than 30% off then I won’t be making any money,” and this is the first order. This is their first set of units. You can’t be thinking like that. You need to be willing to break even and even sometimes lose a little bit of money just to get the ball rolling. Again, that’s what you have to – you have to just prepare for that. It’s part of the business and if you’re not ready for that, then don’t do that yet. Don’t even launch a product yet. Do everything else that I’ve talked about as far as building out your home base, get your content going, starting to get traffic. Like you don’t have to just start with the private label product if you don’t want to. If you can’t do a smaller order then you might have to wait. Maybe you have to do some retail arb. Maybe you got to go out there and do some thrifting and sell some stuff on eBay, whatever you got to do, but you can still be doing the backend stuff or the building out your assets externally. [00:17:59] Scott: You can still do all that other stuff but if you’re not prepared to launch, then you can’t launch. I’m just going to say it straight to you. You just can’t. So, just you got to be careful of that so not willing to spend money on initial launch to boost sales. Now, the last one, okay, and this is number six, choosing products with hundreds if not thousands of reviews and when you’re not realizing that there’s a good chance that the sales are being driven by reviews. So, if you think that you have a better product, but all of the other products are 600 plus reviews, it’s a good chance that you’re not going to sell that many up front. It doesn’t matter what you do, you’re probably going to be really having to do a lot of promotions to just get some sales running through that. So, that’s going to be a problem. You don’t want to start there. You do not want to start there. Now, can you do that later once you build out your brand and you get some history with Amazon and you start building up your sellers account? And a lot of people talk about that, but as you’re generating sales through your seller’s account and you’re getting good feedback, not just reviews, you’re building out your or you’re building your history with Amazon. Eventually, they’re going to start saying, “Hey, this is a pretty reputable company and brand. We’re going to go ahead and push them a little bit more. They’ve got good feedback. They take care of customers.” So, don’t think that just because in the beginning you’re not maybe selling the products that you want to, you want to sell those other sexier products. It’s okay because you’re still building your account up, you’re building up the authority so keep that in mind. It’s really important that you understand that as well. Everything that we’re doing here, we’re building this thing over time. We have a short-term goal and we have a long-term goal. We have phase 1 and phase 2. That’s kind of how we look at it. And phase 1 is like finding a product that can sell 300 to 500 per month and launch that in the first 90 days and then have two or three products in the queue that we can launch behind those. [00:20:05] Scott: And then the 12 to 18 month is really building out the external channels as far as our home base and building out our content to start getting attention in our market and bringing the traffic in so that way there we can convert to sales but we can also convert to possibly ads and affiliate offers and all of that good stuff that I’ve been talking about here lately. So, that’s what we’re doing. So, we have two different phases here, phase 1 and phase 2 and there’s a short-term win and a long-term and that’s what we’re doing. Again, this is exactly what we’re doing inside of the new brand but we’re also doing this inside of Ecom Business Formula. All of our Inner Circle members, this is exactly what we’re doing and we have some seven-figure sellers that 100% relied on just Amazon. So, we’re hoping in the next six to eight months they’re going to have some diversification happening. They’re going to have their own channels in place. They’re going to have their own traffic source. They’re going to have an email list built like all that stuff and a lot of the Inner Circle members already are doing that. But just understand that just because you’re starting out doesn’t mean you can’t start this stuff like right away. You should start doing that other asset build as I call it. So, again, let’s just recap really quickly on these six things to avoid. Number one, choosing just one product and not looking at future ones if there are future ones. So, just selling one product. Number two, being fooled by the basic numbers by the tools that you’re using or giving. Not looking at the history and the trends. You’re just looking at the frontend numbers. All right. You got to dig a little bit, actually quite a bit. Number three, not figuring out what it will take to rank, how many units do you need to sell per day? And not being fooled by the numbers also allows you to know the exact number or, well, not the exact but the range of sales you’re going to need over time and to be able to potentially rank. And then four, not optimizing the listing because you’re going to send all that traffic but you’re not optimizing so you got to do that with pictures, your titles, your bullets, your description, your backend. [00:22:00] Scott: And again, that’s where you have to dig in on some of your competitors and see exactly what kind of keywords they’re ranking for which ones you feel are the ones that are driving the sales. Is there room for growth as far as like we got the strategy inside of Ecom Business Formula where we actually are teaching to go really wide, cast the net really wide even if we only get an extra one or two sales from this keyword a month, but If we find 300 of these, that’d be pretty cool and that’s what we’re talking about here is really like broadening the net but you have to be able to do that up front by having an optimized listing and all of that. Okay. So, number five is not willing to spend money on the initial launch to boost sales, cutting yourself short, and really thinking that you’re going to make money on that first order. I think that mindset is going to hurt you if it hasn’t already done so. And number six is choosing products with hundreds if not thousands of reviews and then finding out that sales are driven by reviews. So, that’s something that you need to look at before you ever go into that product to work, deciding to launch that product. But you need to make sure that you use this as a checklist or just run through this list again. Again, download this set of show notes or the transcripts. If you want, you can head over to TheAmazingSeller.com/627 and just keep this handy so that way there you don’t make these mistakes so you can avoid them. So, the last thing I want to say is you need to plan. You need to plan, plan, plan and plan some more. All right. You need to know your launch numbers and you need to plan an aggressive launch. You need to understand that weeks 1 through 4 when you first launch, this is a brand-new listing. It’s the most important and most critical. You want to give it everything you have. That doesn’t mean black hat. That doesn’t mean gray hat. It means building up these assets that we’ve talked about and then going all in on just focusing on launching that. [00:24:05] Scott: So, definitely make sure that you plan and you know your launch numbers and plan an aggressive launch totally what you want to do. All right. So, again, I’m going to remind you on our new class which I am super pumped about. If you’re interested in having us work with you and showing you the way through this new training, we’ve actually created this basically self-study course, but we’re going to be there along the way to help you and it’s called Ecom Business Formula. Like I said, this is going to be all the way from choosing your market, choosing your first three to five products, verifying and validating and all of that stuff in between to make sure that you have the best chance of having a successful launch in phase 1 and then from there in phase 2 we’re building out our home base, we’re building out our assets, we’re getting the attention in our market, and we are going to be able to really I don’t want to say this but I’m going to say it anyway, crush our competition in a good way because they’re not going to know what hit them. 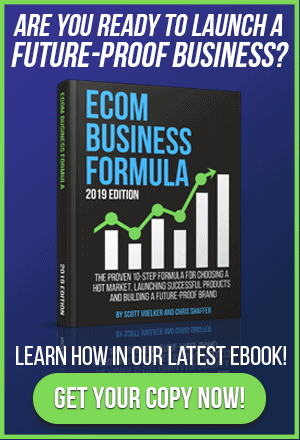 And just for me doing some of this research in Ecom Business Formula when I was showing some of these examples, there’s a lot of sellers that are ranking on page 1 that have no presence off of Amazon which is really good news for us. So, you want to do that. So, if you’re interested, you can join the waitlist if we’re not already open at TheAmazingSeller.com/EBF and you can get all the details there, you can register there on that waitlist, or you can just check out the details and if you’re ready to jump in and roll up your sleeves and get to work, then we would love to have you. [00:25:36] Scott: All right. The show notes can be found at TheAmazingSeller.com/627 and, guys, that is a wrap and definitely make sure that you go through this checklist before you decide on that product. I really want you to succeed and I want you to be able to have the best chance of having a successful launch and really building a business that allows you to live the life that you want because that’s truly what I want here. I think we’re all building a business to really have that freedom element, that flexibility, and I know that this business and just any business that is a real business that provides value to people and gives them what they’re looking for and then to also serve them with content, to me, it’s foolproof. It really cannot fail if you follow the process of going out there and figuring out what people want, what they need, and then you show up and you’d be an awesome resource, and you’d be helpful and then through that, they’re going to eventually buy something from you. So, to me, that’s a future-proof business model in my opinion. All right, guys. So that’s it. That’s going to wrap it up. As always, remember, I’m here for you, I believe in you, and I am rooting for you, but you have to, you have to, come on, say it with me, say it loud, say it proud, you can do this, come on, take action! Have an awesome amazing day! And I’ll see you right back here on the next episode. 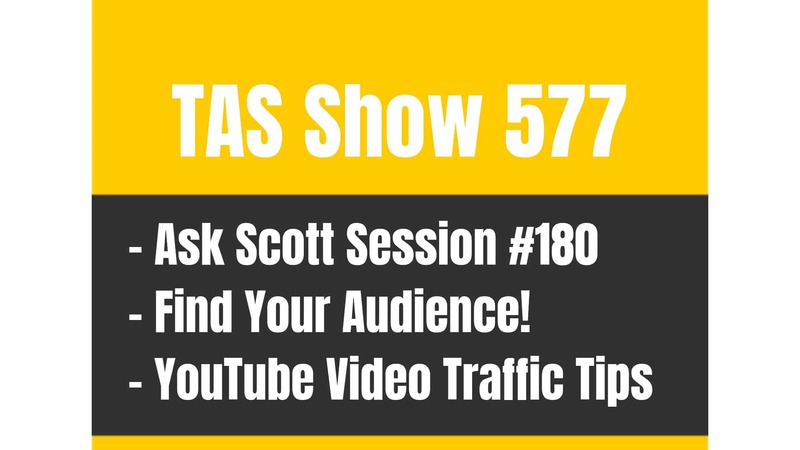 TAS 577: Ask Scott #180 – How To RANK Product Videos on Youtube and Get Traffic?